3. 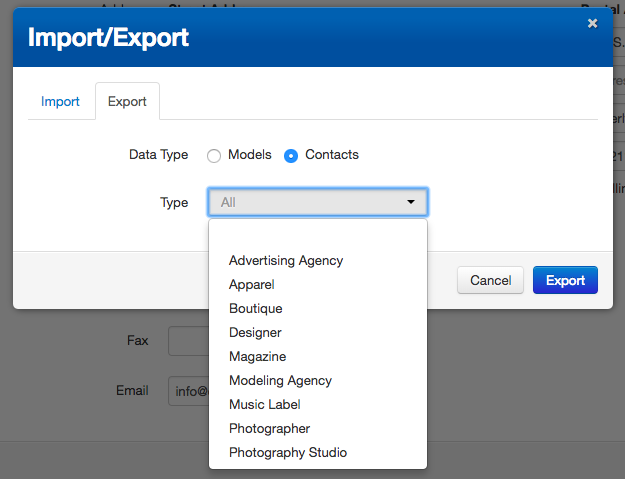 Select what you want to Export, Talent (Models) or Contacts. 4. 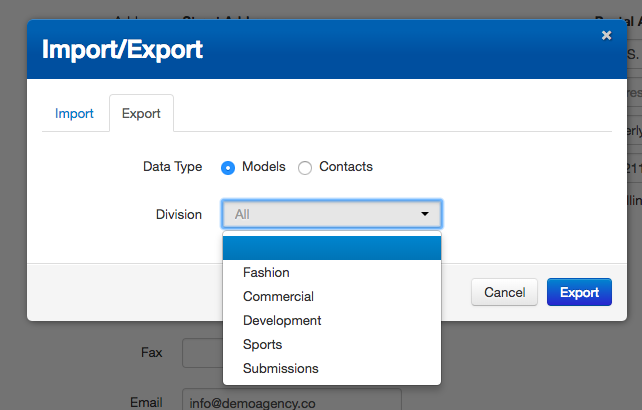 From the drop down, you can select if you would like to export All (default) or only one type of Talent or Contact. 5. 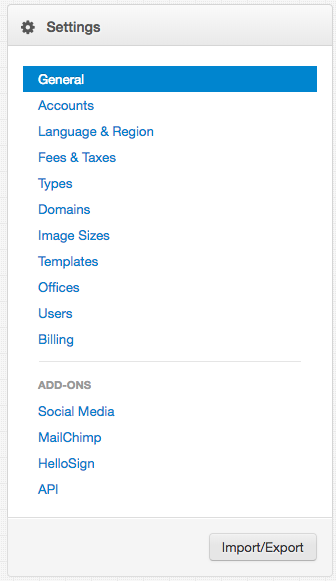 Once you have made your selection, click the Export button and the file will start downloading to your computer.